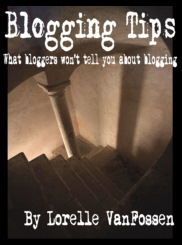 The following excerpt is from Blogging Tips, What Bloggers Won’t Tell You About Blogging by Lorelle on WordPress. While most people are thrilled to start their blog and get any visitors, they often forget that a good point or interesting blog concept can generate instant attention, bringing a flood of visitors to their blog. Don’t be caught off guard by a sudden influx of traffic. You may want the popularity that comes from having your post dug by Digg or listed in TechCrunch or Wired, but if your blog’s server can’t handle the load, your blog may be down faster than your moment in the spotlight lasts. Contact your blog web host and make technical and financial arrangements for increased traffic, if necessary. Streamline your blog’s design and content to feature more text than images, requiring less demand on the bandwidth. Reduce the number of database queries by changing link template tags and PHP requests for typically static information to static information, such as your blog title to its name, removing the code that requests it from the database. Use a cache utility which creates static pages from your generated pages, allowing visitors to view those, requiring less hits to the database. Reduce the number of posts on your multi-post page views such as the front page or category pages. Consider changing their post content to excerpts for the duration. Reduce the number of incoming resources such as hotlinked images, badges, icons, widgets, gadgets, and other blog accessories. Reduce multimedia offerings to only those pertaining to the “rush”. This is an excerpt from Blogging Tips, What Bloggers Won’t Tell You About Blogging by Lorelle on WordPress. For more information on the book and ordering, see Blogging Tips. I don’t wanna look like a spammer xD ..